Hi everyone! We are Elizabeth and liZ, two girls who married brothers and ended up with the same name. 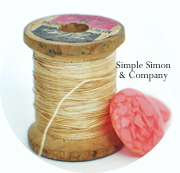 You can read more about us in our intro post and our Vintage Dress project post. 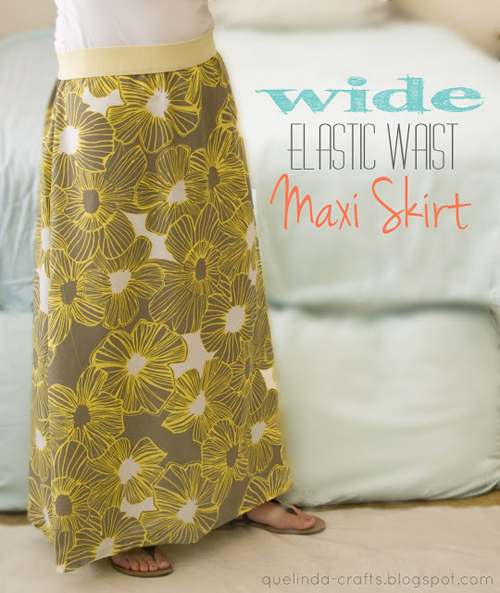 Probably like most the rest of you our weather is so cold and terrible right now, but we are dreaming of Spring…and what better way to look forward to Spring than to sew some maxi skirts. So, we have put together a round-up of some of our absolute favorite maxi skirt tutorials. All of which are different (drop waist, pocket, full, pencil) so there are choices to find for every body shape and every age! We do love our maxi skirts and often joke with each other that they have become the new “momiform” all year round! They are comfy and are also a quick, easy sew that makes them the perfect afternoon project. 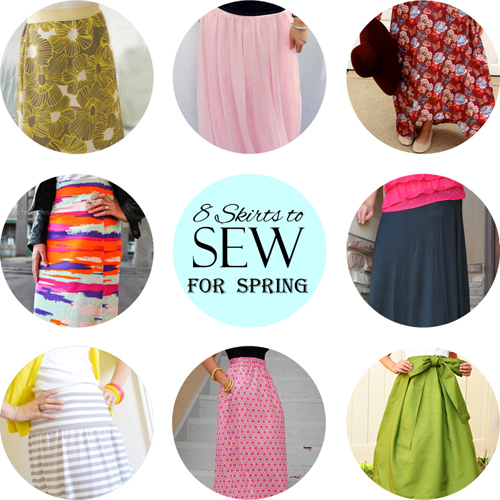 Tip: If you have an overlocker/serger, pull it out of they closet – they’re super for sewing maxi skirts! Instead of straight stitching and overcasting all those long seams, just overlock them. You’ll stitch and finish all in one step AND have a slightly stretchy seam that will give a little when needed. Overlocking is also great for finishing edges of hems and waistline edges. Give your sewing machine a little down-time and have fun with your overlocker/serger! 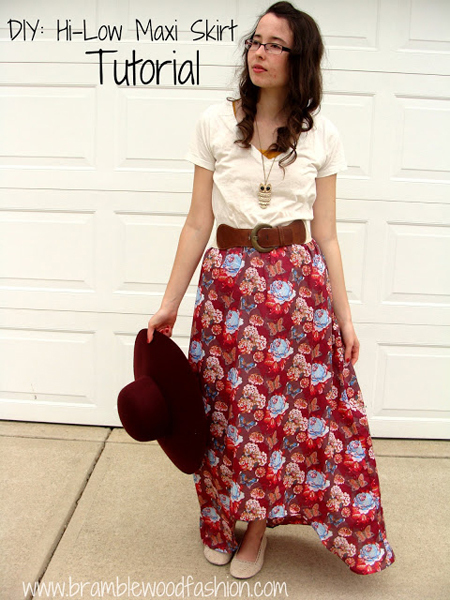 We absolutely love this Wide Elastic Maxi Skirt Tutorial from quelinda-crafts! And with the wide elastic waistband it would be a comfortable fit for so many different body shapes! Next, we have this amazing Chiffon Maxi Skirt that just screams Spring. It is lightweight and would be cool and breezy all the way throughout the summer. This Hi-Low Maxi Skirt is so on trend this year. And with so many prints and fabric choices to choose from would be a perfect sewing project for tweens and teens. 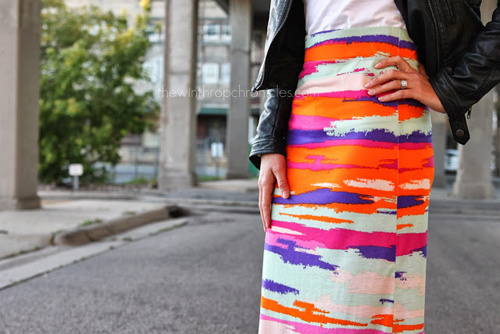 Don’t you love this High Waisted Maxi Skirt with the bright colors and bold print? And the straight fit makes for a super-flattering skirt! We love the simplicity of this Easy A-line Maxi Skirt. And that fact that it is about an hour project is worth its weight in sewing gold…. 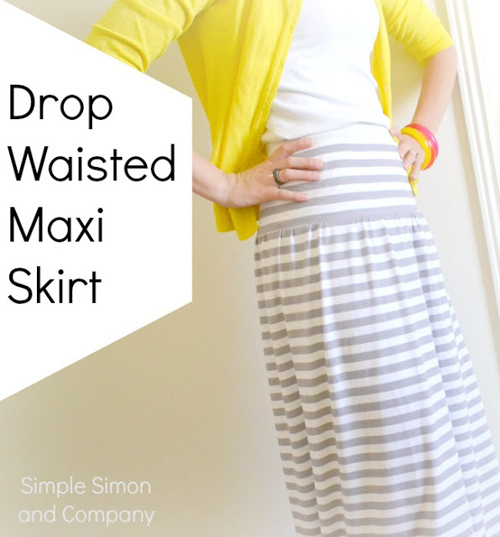 This Drop-Waisted Maxi Skirt is the perfect choice for those that like their gathers a bit lower! Still comfortable and full at the bottom make it the perfect skirt for busy moms on the go. The pockets in this Elastic Waist Skirt are the bomb! Pockets? Yes….we all love ourselves some pocketed skirts. 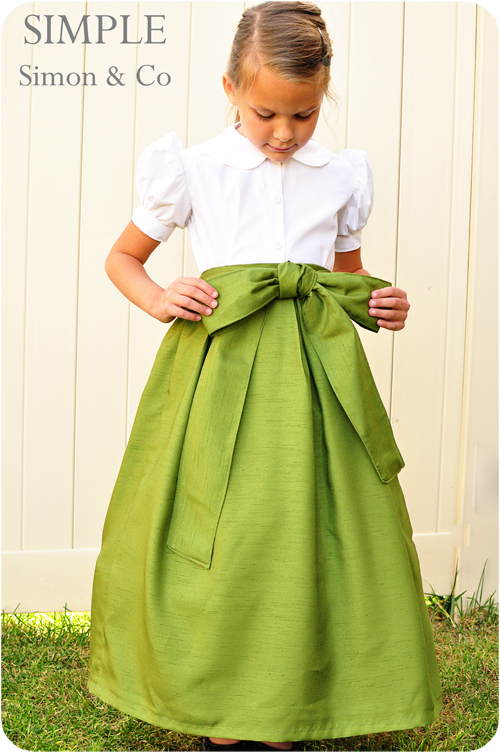 And not to leave out our little girls…the Girls’ Full Maxi Skirt is a fun choice for all those girls that love to twirl and would also make the perfect outfit for Easter or Spring festivities! Do you love maxi skirts as much as we do? We love them….